Shore diving or Rock-hopping is diving from shore instead of diving from a boat. 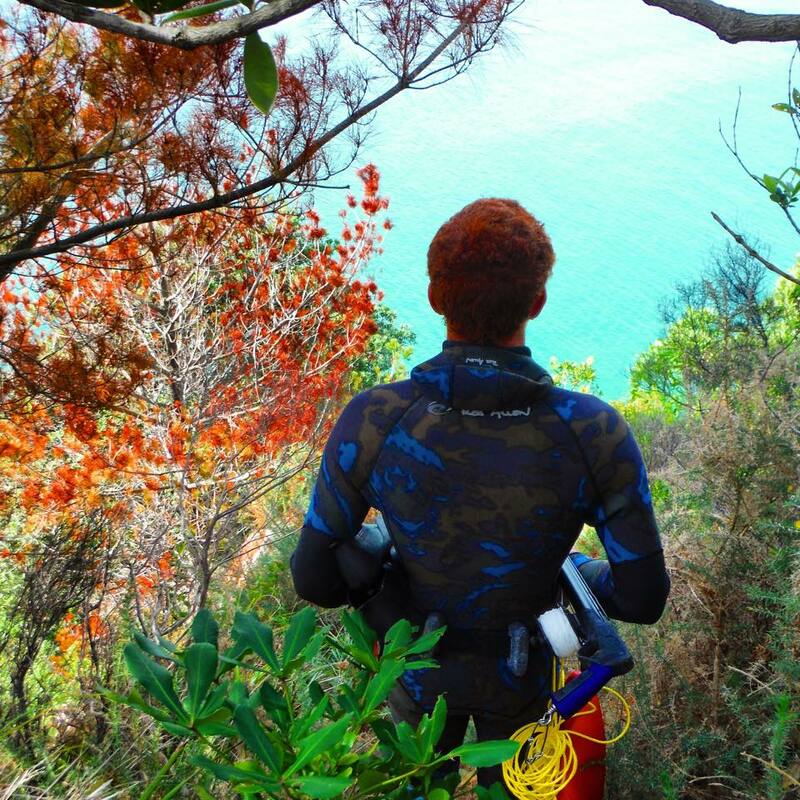 It is where most of us start out spearfishing and shore diving remains something that I love doing, even in Queensland where shore diving is often impractical due to poor inshore visibility, lack of available locations and the right weather. This Part 1 to Guide for Shore Dive Spearfishing is a complete introduction to shore diving. If you have some feedback, suggestions or questions please put them in below. Step 1, Find someone to go with. How do I find a spearfishing buddy? Taking someone Spearfishing is hard work. 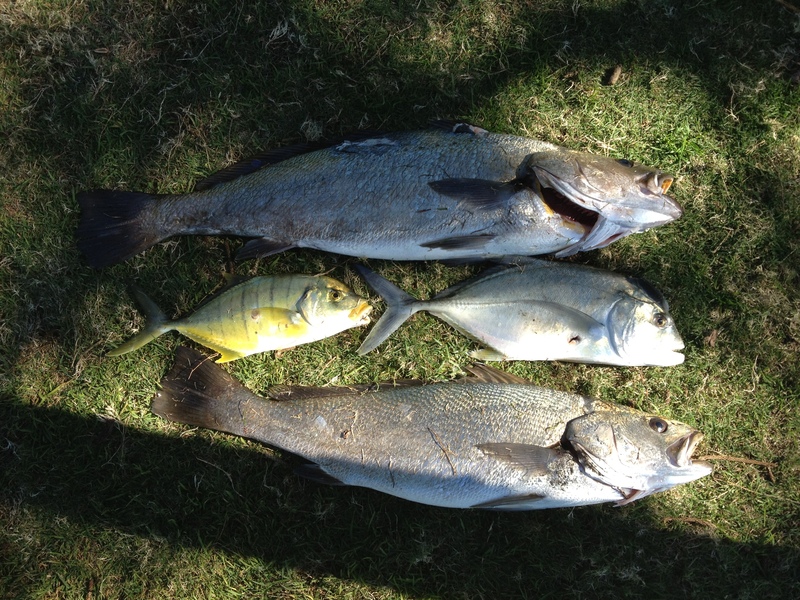 Most Spearo’s love spearfishing because its often about getting away from the day to day noise and stress. So taking a noob out can be a chore and its not something every Spearo signs up for. Keeping this in mind, finding someone experienced to go with is still a reasonable proposition. It is more than likely that there are some great Spearo’s in your area who can share their knowledge, time and experience with you. Here are a few methods to find an experienced spearo. Your local retailer, by now you might have bought some gear from your local shop and met one or two of their people. Explain your situation to them and ask for help. They might be able to hook you up with a veteran. Tanc Sade, a former guest on the show tells a story about his break through at Obsession Dive in Sydney. They hooked him up with a dive buddy who became his lifelong friend and they are still diving together today. This situation is not uncommon as good retailers are a hub for local spearos who all come in to stock up on essentials occasionally. Facebook, there are now literally hundreds of quality facebook spearfishing groups where spearos connect, sell gear, talk about the weather and conditions and share news and sometimes look for others to go diving with. #word of caution, try not to discuss spearfishing spots on here. Good spots are something you keep under your hat. Start a conversation by telling them your story and what area you are thinking of spearfishing, then ask guys to private message you if they can give you some pointers. Spearfishing Forums, again Google is your friend and research is clutch. Your retailer might be able to tell you where local spearos hang out online however often a simple search will yield good results. Once on the forum post a thread about what you are doing and ask for help. Also you could try writing a personal message to the forum moderator or social media group admin, these guys in my experience are often super helpful. 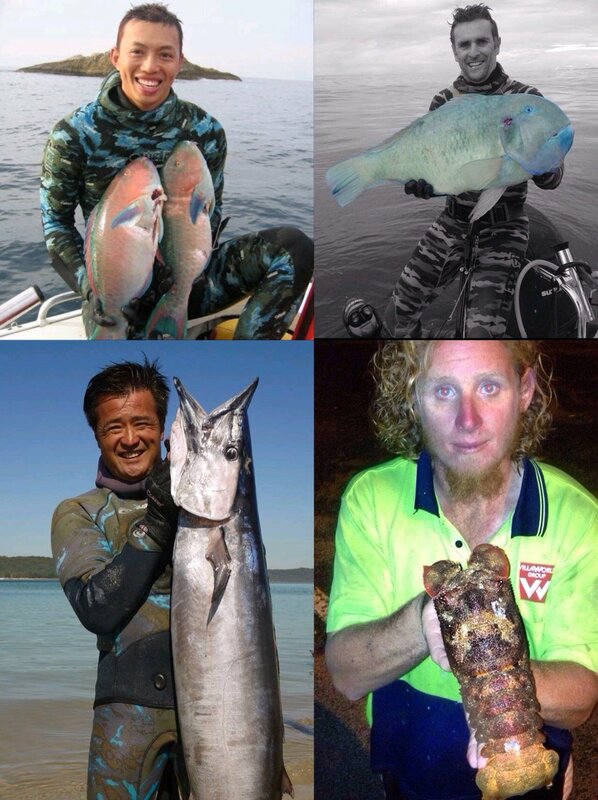 Spearfishing Clubs, last but certainly not least are spearfishing clubs. Many areas have some fantastic clubs where noobs are looked after and earn their way into the club. Simon Trippe and the San Souci Club he is involved with in Sydney are a perfect example of this. Any of the above 3 items can help you find a local club. Listen to Simon in our interview as he talks about a good spearfishing club culture and environment and why you might want to be part of one. Location and conditions (step 3 below) are tied together. Again local knowledge and experience is super helpful here. Ask questions in person as much as possible (retailer or clubs again), second best is online forums, facebook and other information available online. The best locations if you are just starting out are sheltered waters such as, the sheltered side of a headland or rocky point, the sheltered side of an island or perhaps a harbour or estuary. In Southern Queensland these spots are few and far between however in the Southern half of Australia they have many more options. 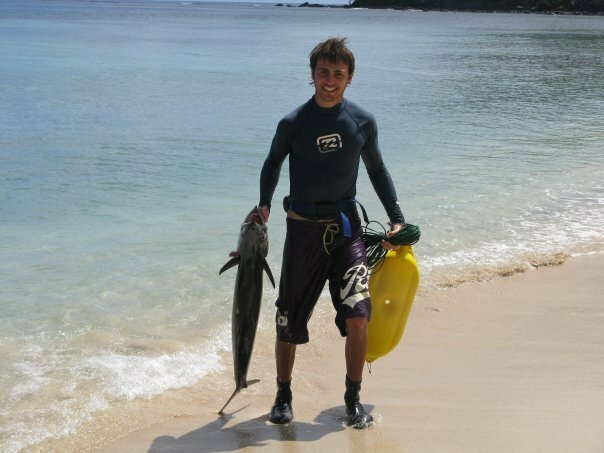 It depends on what part of the world you live in and the prevailing conditions however even in sheltered waters you can still learn to start shore dive spearfishing before heading out into the open ocean. Next step is Google Earth and if you are headed offshore the Navionics app is also a great tool. Both of these have mobile and desktop applications that can make spearfishing reconnaissance much more effective. 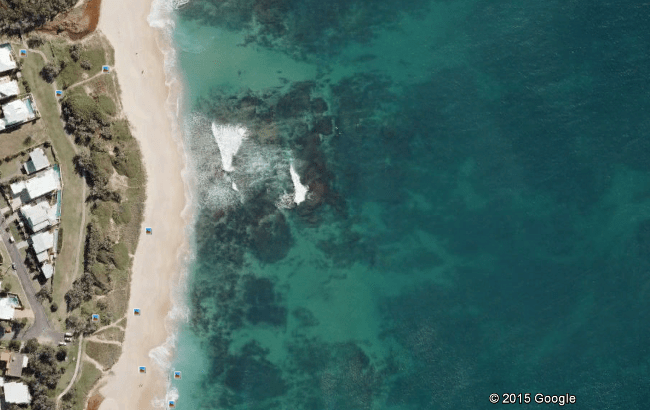 Google Earth is a shore divers best friend. 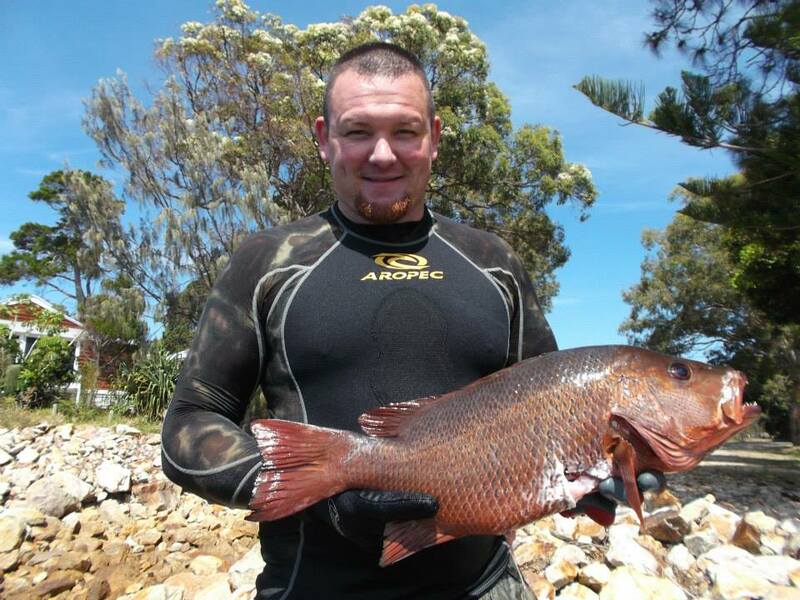 Preferably you have thought of or been suggested an area of coastline that is going to be great for spearfishing. Open up Google Earth and zoom into that area of the coast. 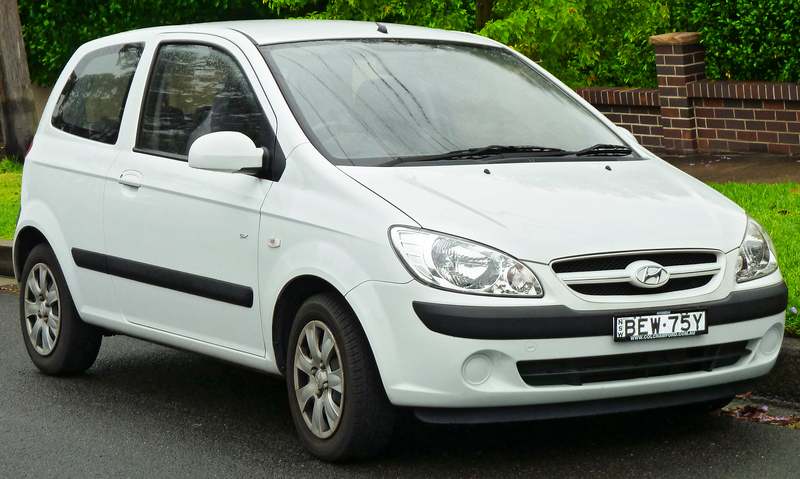 You will be looking for reef structure initially, then planning entry and exit points(more about this in Part 2 and below) and probably somewhere to park your specialist dive car (pictured is Hyundai Getz the discerning spearos car of choice). Google earth is a great preliminary tool for assessing an areas potential for good ground and parking spots. That’s about as far as its effective though, what it fails to do is communicate current, visibility, entry and exit points and how easily the area is swell affected. Boat traffic and marine protection zones are also something you need to be aware of. Areas with high boat traffic are no good for spearfishing, boats kill far more spearos than sharks. 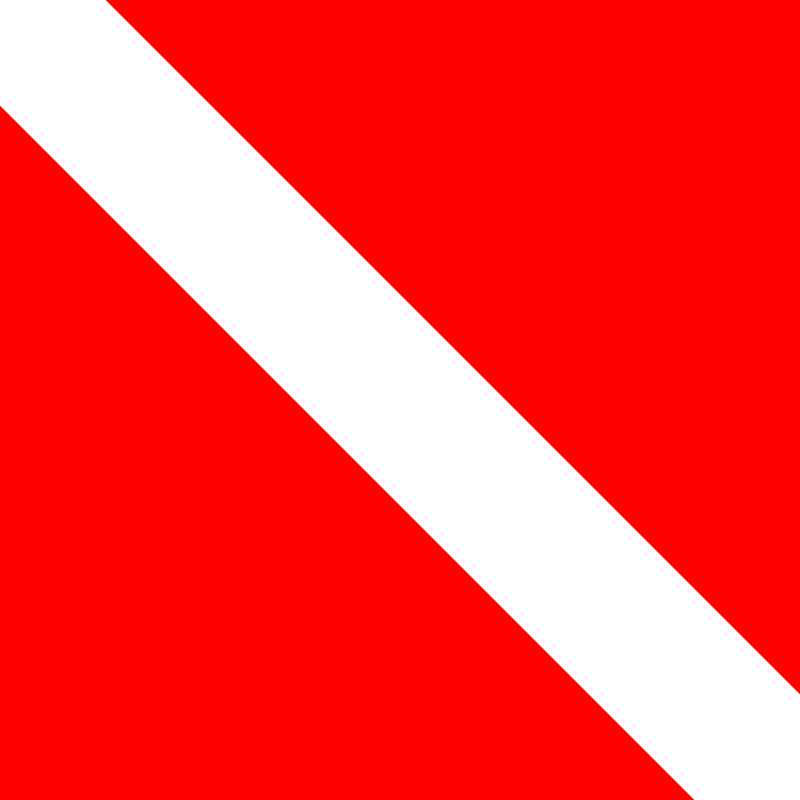 Using a float and flag is essential however many boat owners are unaware of dive flags and what they mean. When you are diving from a boat a proactive boatie will get between you and approaching boat traffic to prevent this from happening, while shore diving we do not have this luxury. Learn about local Marine Protection Zones. Marine protection zones are everywhere and becoming more and more prevalent. While sometimes it is frustrating having a lack of places to go spearfishing, breaking the rules is a sure-fire way to make enemies with the public, fisheries, other enforcement agencies and the media. We have seen an explosion on social media in recent times of posts and photos attempting to ‘name and shame’ spearos. Often when this happens it is people new to spearfishing who are not aware of local laws or spearfishing ethics. Only a small percentage of spearos break the law deliberately. #My Advice for social media; Rather than reposting photos and messages attempting to name and shame, try a different tact – A polite well worded private message from a respected spearo will have far more impact than the alternative. We have all made mistakes and learned things the ‘wrong’ way. Give people the benefit of the doubt and then if you don’t receive an appropriate response – report them to the appropriate authority rather than dragging us all through the mud. Anyway, I highly recommend talking to someone experienced in the area you are planning to dive especially while conducting your initial research. They will save you time, money and energy however dont rely on being spoonfed, experienced spearos will point you in the right direction, not give you all the answers. Step 3, Conditions, Local knowledge. If you have found that helpful local Spearo or group of Spearo’s then finding out about the local conditions is high priority. Listen attentively as some conditions create high risk variables that you want to avoid such as current, swell, entry and exit problems, seasonal jellyfish issues, boat traffic etc. As you gain experience in an area you will begin to make connections about what works in that particular area and what doesn’t. Water clarity is an issue here is Queensland, we have trouble finding clean water particularly in a Northerly wind, in other areas there are similar unique factors. Weather sites and finding reliable marine forecasts is something that you will use forever while you are diving and boating. In Australia we use the Bureau of Meteorology (BOM) and other weather forecasters such as SeeBreeze and WillyWeather which all base their forecasts on BOM data but often arrive at different conclusions. Because of this many good boaties will use two different forecasters to make decisions. For example, they will look at BOM then Seebreeze and plan the days diving on the worst of the two forecasts or somewhere between the middle of the two. 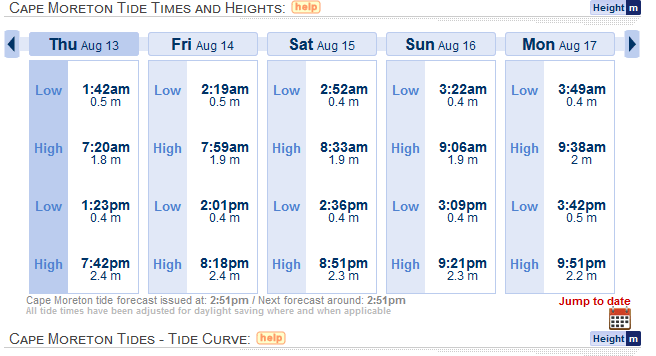 The closer to the day you want to go diving the more accurate the weather predictions will be. Beyond 3 days marine forecasts are often unreliable. All dive sites are affected by wind. 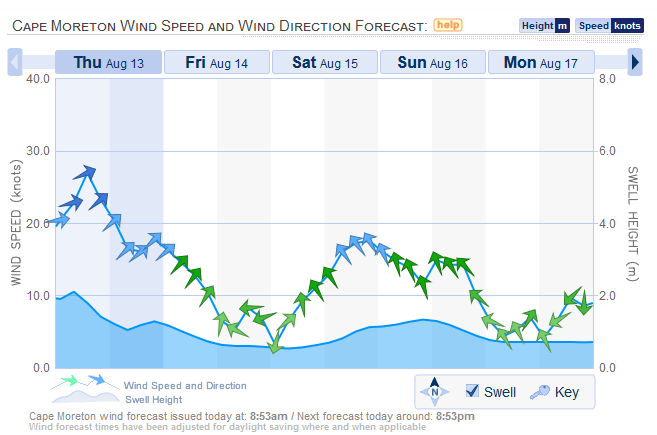 Wind affects water visibility, swell behavior and the surface where you need to rest. When wind is combined with swell you can have many different variations that take time and experience diving your local area to understand. Generally for shore diving, wind speeds under 10 knots will be ideal however many people can dive local areas with much greater wind speeds, particularly if there is no swell. 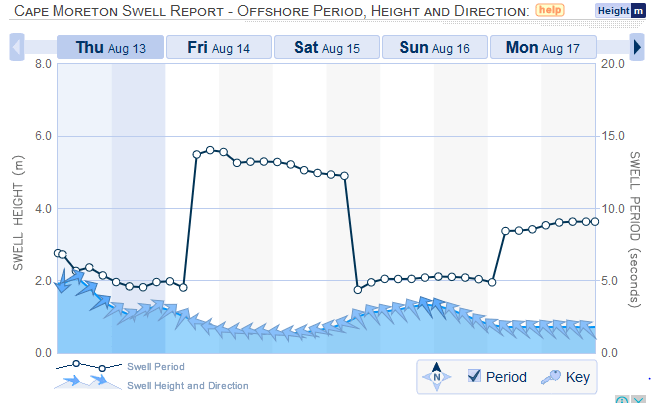 Swell affects water visibility but more importantly entry and exit points. If the waves are too large your dive site must have sheltered entry and exit points. Wave action stirs up any sediment and the water will often take a few days to settle down again after large swell. Losing equipment and ripping the bum out of your wetsuit can be the least of your worries if you dont have safe entry and exit points, swell must be taken into account. Listen to a bloody funny story about a great shore diving story in Snoeks interview here (about the 33 minute mark). For me personally when I plan on shore diving the Southern Queensland coast, I like under 1 metre of swell. In a recent Spearfishing Downunder Magazine Simon Trippe recommends having a plan B for exit points as sometimes things can change quickly in the water. When the tides are at their very top and very bottom the water movement is minimal and visibility will generally be best, this is called slack water. The top of the high tide is most often the best and depending on where you are in the world a 45 minute + dive is possible. Tides have names for their current phases, when the tide is on its way in, it is called ‘flood current’ and on its way out, ‘ebb current’. In between the top and bottom of tides, currents will be at their strongest. Tidal currents can be very risky as they can sweep you out to sea or into places you dont want to go. Local advice is king yet again however whenever you do your first dive, generally the best time will be approx 2 hours before the top of the tide (flood current) to get a solid 2-3 hour spearfishing session in. In Part 2 we will cover everything on the actual dive day including entry and exit planning, rigging your gear for a shore dive, species and common shore diving hunting techniques + tips, tricks and advice on making the most of your shore diving adventure. Use the code NOOBSPEARO to save on all spearfishing equipment purchases! What was your biggest issue learning to spearfish from shore?